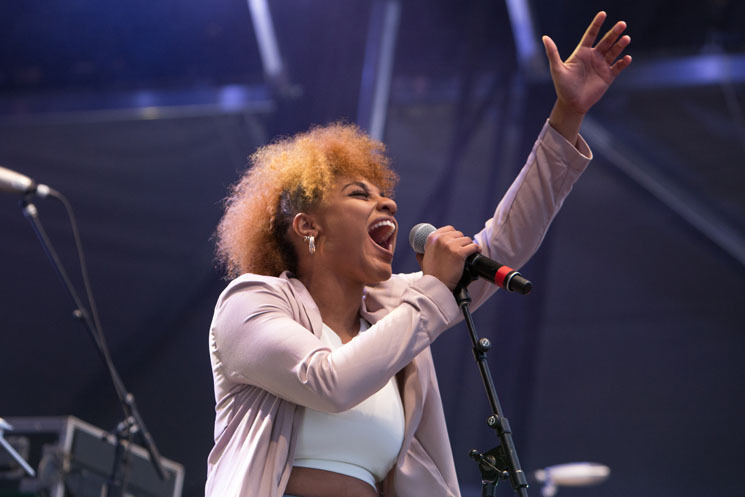 North Preston, NS's Reeny Smith has had her share of noteworthy opening sets in Halifax, including one for Grammy-winning vocalist Lisa Fischer. But the chance to take the stage ahead of Anderson .Paak and the Free Nationals in front of a sold-out Halifax Jazz Festival crowd might have been the biggest performance of the 24-year-old's career. She made the most of it. Backed by a four-piece band and two additional vocalists, Smith commanded the crowd's attention from the opening note, starting with the energy high and keeping it there for the duration of her eight-song set. Her voice, strong and impressive in its tone, ran through songs like her latest single "Survive" and a supremely confident "Last Call" as if she's been playing stages that big for years. Smith's material — R&B infused with a pop streak and soulful sensibility — is good; "Last Call," in particular, really connected as a closer. Her songs do have a bit of an early career feel to them, like there are more levels to her writing that she's bound to unlock as time and her talent move forward. Tellingly, perhaps, the set's highlight was a take on Aretha Franklin's "Rock Steady," which felt like it had everyone in the crowd swaying along with the groove. Still, Smith's dynamic, inspired Jazz Fest performance made it clear to everyone that she's a performer to watch.